The Horticulture Group was formed to increase members' knowledge and enjoyment of growing and using plants in the landscape and home. 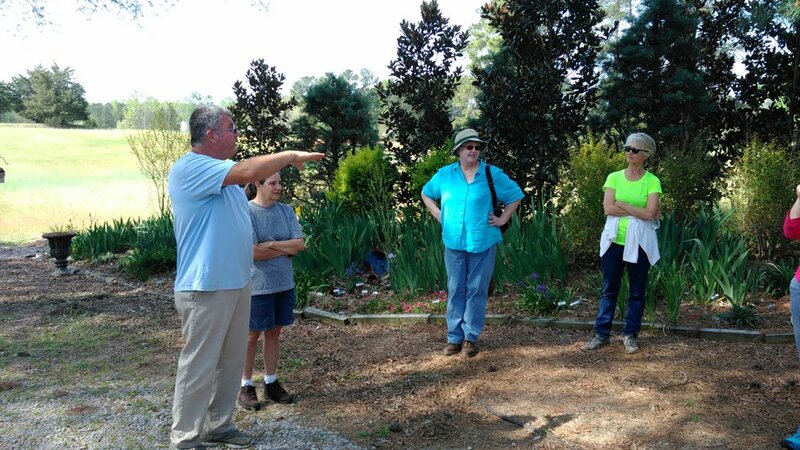 Programs of the Horticulture Study Group are educational to give more in-depth knowledge of various horticulture topics and to have fun sharing our common interest in plants. This year the Horticulture Group will host the January 2 General Meeting with guest speaker Leanne Kenealy, Plant Breeding and Nursery Technician at JCRA. She will present a program on the basics of home propagation. We’ll learn how to be successful in creating our own plant material. Other horticulture adventures planned are a trip to Pinehurst’s beautiful Sandhills Horticultural Gardens followed by lunch at Ann's family farm in Cartharge. Then in late January, we’ll learn about the State’s Master Gardener program from Charlotte Glen. May 2: Thursday, 9:00 am, Resceduled from October due to bad weather. Road trip to Sandhills Horticultural Gardens, 3395 Airport Road, Pinehurst, North Carolina 28374, (910) 695-3882. This garden was established in 1978 with the creation of Ebersold Holly Garden. The garden today is 32 acres and includes gardens of diverse style and designs offering educational adventure to anyone with an interest in plants, nature, and design composition. This will be a guided tour after which we will have lunch at the Lawhon family farm in nearby Carthage for all who would like to attend. Activities for the 2016/2017 RGC year included a container garden workshop, potting plants at members' houses for the spring plant sale, visiting the Chrysanthemum Festival at the Sarah P. Duke Gardens, touring the JC Raulston Arboretum with a young professional and visitiing the nursery of a seasoned plantsman. We finished the year with tours of 4 private gardens.